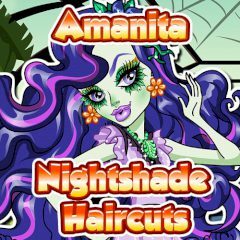 In this game you have to choose the coolest hairstyle for Amanita. Today will be a very cool party, so choose for her hairstyle, make-up and do not forget about the dress. Enjoy the game right now!